Ronnie Cannady was born on December 23, 1959, in Philadelphia, Pennsylvania. He transitioned on January 30, 2019, in Dallas, Texas, at age 59. 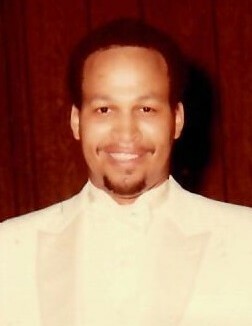 Affectionately regarded as "Big Jake", Ronnie graduated from Olney High School in Philadelphia; he was a proud graduate of the Class of 1977. Upon graduation from high school, Ronnie attended Job Corps in Santonio, Texas, where he earned his certificate in auto mechanics. He went on to enjoy a career in environmental services in the education industry. Ronnie worked for Dallas Independent School District in Environmental Services as a lead custodian. Ronnie married the love of his life, Vanessa Davis. The two remained united for 36 years until his transition. Ronnie attended Morris Chapel Baptist Church under the leadership of Pastor Hinton in Philadelphia. There, he accepted Jesus Christ as his Savior and was baptized. He later attended Grace Community Baptist Church. From Philadelphia, Ronnie moved to Maryland and then to Texas. Among many hobbies, Ronnie enjoyed cars, watching home improvement shows, basketball, and football. He was an avid fan of the Philadelphia Eagles. Ronnie will be missed by all who knew and loved him. He was preceded in death by his parents, John Cannady and Mary Gibson Cannady, and brothers, Steve Cannady, John Cannady, Jr., and Johnny Torrence. Those left to cherish precious memories include his wife, Vanessa; son, Anthony Davis and his wife, Becky; daughter, Ronisha Cannady; grandchildren, Anayah Nevaeh, Anthony, Jr., Promise, Michael, and Jesse; sister, Wilhelmina Daniel and her husband, Thomas; sister, Jacqueline Cannady; sister, Elisha "Annie" Torrence; sisters-in-law, Gina Cannady and Sherryl Cannady; and a host of other relatives and friends.